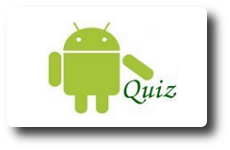 In the article titled “Adding Action items and Overflow menu items to Action Bar in Android“, we have seen how to add action items and split action bar items to action bar in Android. Since action bar is introduced in Android 3.0 ( API Level 11 ) , we can not run that application in Android versions prior to Honeycomb. 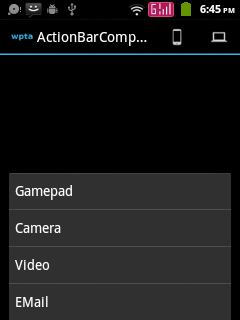 In order to overcome this limitation, we can make use ActionBarCompat library available with Android support library revision 18. 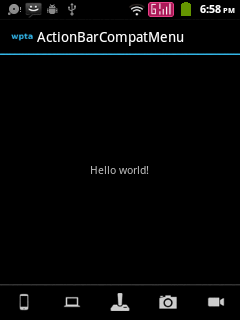 Using ActionBarCompat library we can implement action bars back upto Android API Level 7. In this article, we will develop an Android application that contain action items and split action bar. 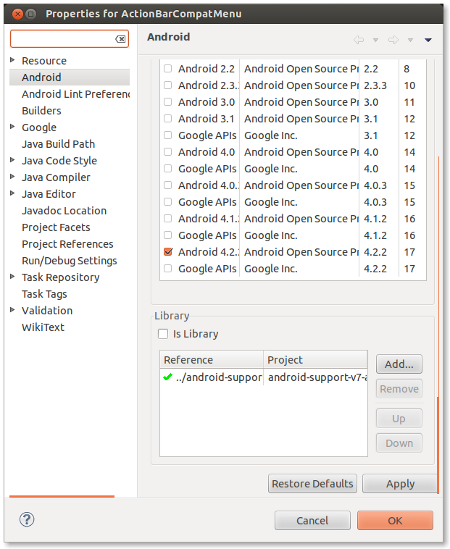 This application is developed in Eclipse 4.2.0 with ADT plugin 22.0.4. If there is not enough room for action menus to align in action bar, then we can move the action menus to the bottom of the screen. This is achieved by specifing uiOptions attribute for the activity in AndroidManifest.xml. Please see the highlighted text, that splits the actionbar in the given below code. The attribute “uiOptions” specified in the line 19 is understood only by API Level 14 or higher. The meta-data element specified in the lines 24 and 25 is used for older versions. Been searching for days on showing menu items on action bar and not on overflow menu alone. how put drawer menu and bottom menu in the same time ? when i applied this code on my application the menu bar show on top not in bottom how to resolve it ..?? ?